South Korea’s presidential office said Wednesday the leaders of South Korea and Japan are expected to skip summit talks when they attend regional forums later this month amid diplomatic standoffs over a Seoul court’s recent ruling on wartime forced labor. “It appears to be difficult under the current mood,” a senior Cheong Wa Dae official told reporters on the condition of anonymity. President Moon Jae-in plans to visit Singapore next week for a group summit hosted by the Association of Southeast Asian Nations (ASEAN), followed by a trip to Papua New Guinea for the Asia-Pacific Economic Cooperation (APEC) session. Japan’s Prime Minister Shinzo Abe will also join the forums, which have offered chances for bilateral summits on the sidelines. A diplomatic spat between Seoul and Tokyo has intensified since a Seoul court ruling last week in favor of four victims of wartime forced labor. Japan has strongly protested against the Supreme Court’s approval for their individual rights to compensation for Japan’s crimes against humanity during World War II. Korea was under Japan’s brutal colonial rule from 1910-45. It ordered Nippon Steel & Sumitomo Metal Corp., a Japanese steelmaker, to pay each victim 100 million won (US$88,000). 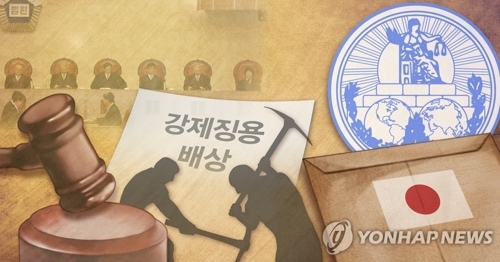 The South Korean government said it respects the court ruling and vowed efforts to manage relations with Japan. Japan claims that all reparation issues with South Korea have been resolved already with a 1965 bilateral accord that led to the normalization of their diplomatic relations. “The remarks are neither appropriate nor wise,” he said in a statement sent to reporters. On Monday, Japan’s Foreign Minister Taro Kono publicly put the blame on the South Korean government. He warned, “It would be difficult for any country to do anything with the South Korean government” if it nullifies a deal due to a court ruling. Hours after the report of Kono’s remarks, Vice Foreign Minister Cho Hyun met with Tokyo’s Ambassador to Seoul, Yasumasa Nagamine. Cho’s ministry also issued a late-night statement accusing Japan of handling the court decision in a “political, excessive” manner. “Our government is very concerned that Japan’s responsible leaders are continuing remarks to provoke public sentiment in ignorance of the root cause of the problem associated with the Supreme Court’s ruling this time,” it said. The ministry said Japanese government officials are “overreacting” to the independent court ruling in a democracy.